Are you ready for a hike of a lifetime? 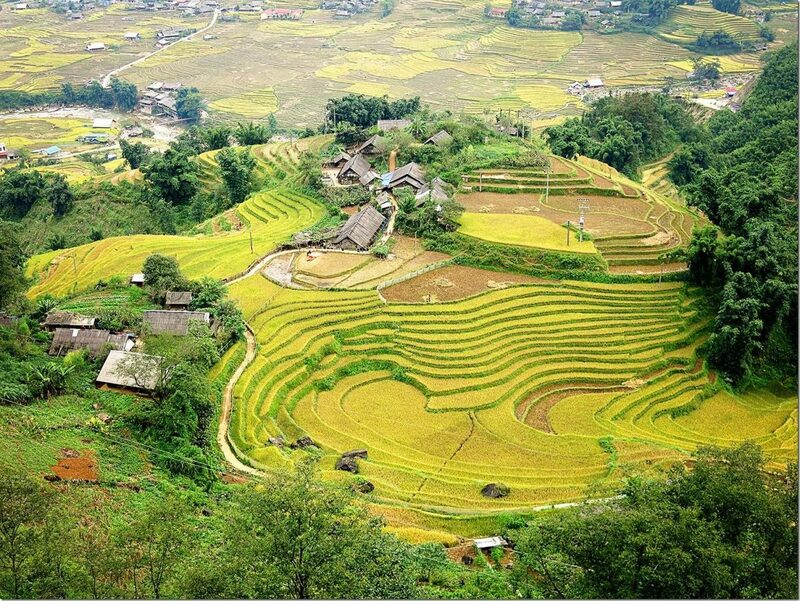 For an insanely picturesque Sapa hike that takes you down mountains, across valleys and past lush green rice paddies? There are many gorgeous places to visit in Vietnam, but this one has definitely left a mark in my heart. Raw beauty of a simple life. The life where all things serve its purpose. 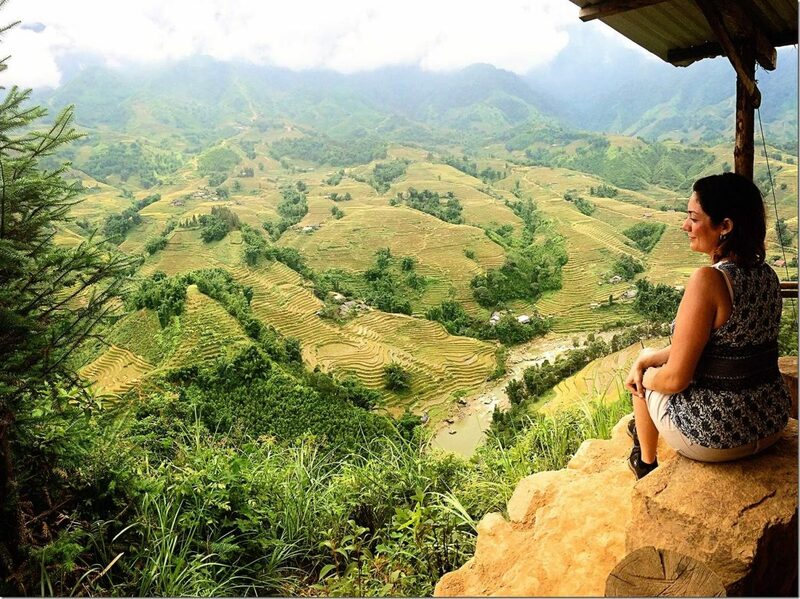 Where the cascading rice terraces climb up the mountains so high, that the highest fields touch the sky… The one and only Sapa, Vietnam! Travel allows you to rediscover yourself through the places you visit. It changes the way you think and what is really important in your life. Sometimes all that you really need is the people around you and the land that sustains the life that you create. And what a better setting to do it all in then this! Our journey started at the super cool towns of Sapa. For me it seemed to be a perfect place to begin our Sapa day tour. 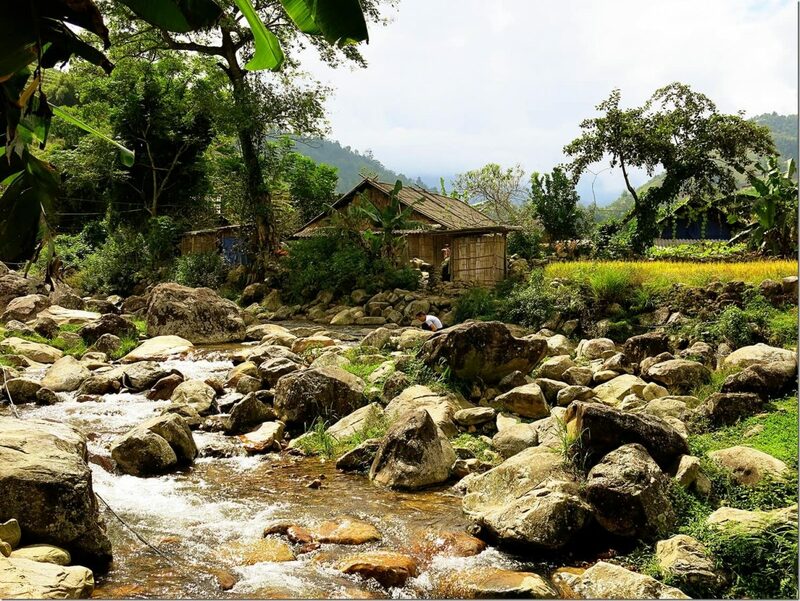 Here, the Hoang Lien Son Mountains stand tall and proud and the Muong Hoa Valley opens its arms, inviting you for a spectacular Sapa hiking experience! 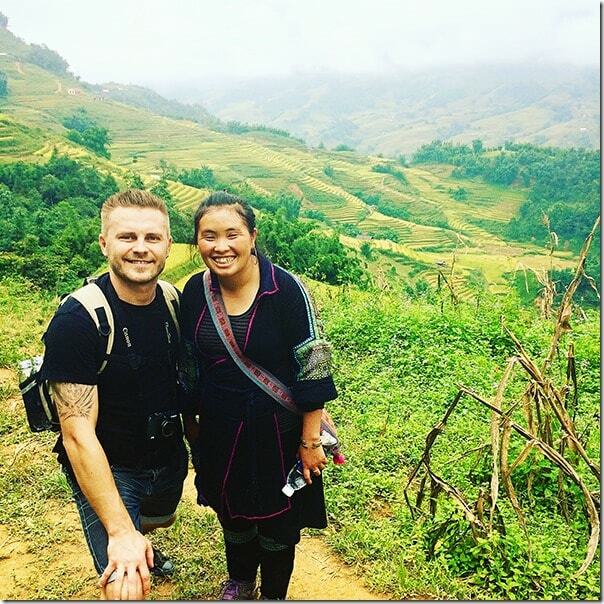 We have chosen to take on the walk with a private guide Bee, the local from the beautiful Sapa village of Lao Chai, accompanied by her awesome friend Kul. Bee was our guide at the Bac Ha Markets as well, so we already knew she was really bubbly and very informative. It does make a huge difference to have a well informed, English speaking guide on your walk. The stories and history that you can learn is priceless and only adds to the whole experience. 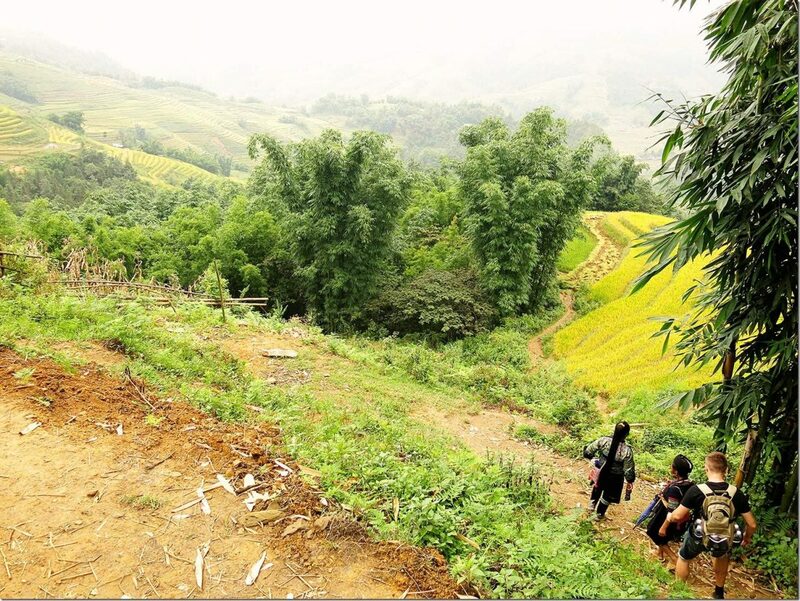 Our hike began at the edge of the town of Sapa which took us on a steep and muddy decline. I think in the first 5 minutes I slid down the embankment at least 3 times. Lucky I had a helpful hand from ( I might add: half my size, mature aged and only wearing thongs) Kul. Haha… Yup, I think I forgot how to walk for the day or something, cause after that she was always there to hold my hand even to cross little creeks. Well, I felt very manly for the next few hours, haha… It’s all good. Kul was cool! After only a few minutes of walking down the hill, the picture perfect spots start. For the locals, these places are simply fields that provide food for the months to come. 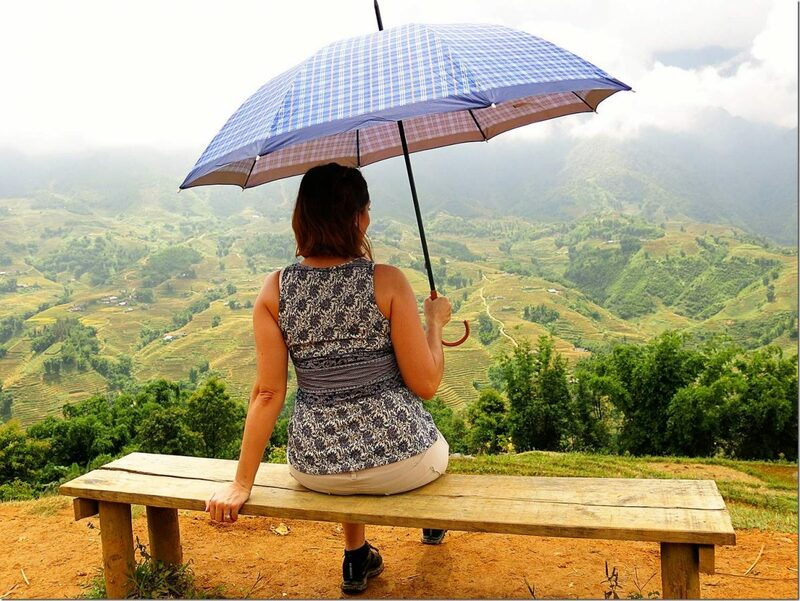 However, for us, the scenery in front of us was exactly why we chose to make the journey to Sapa in the first place (To read about how to get from Hanoi to Sapa, click here). 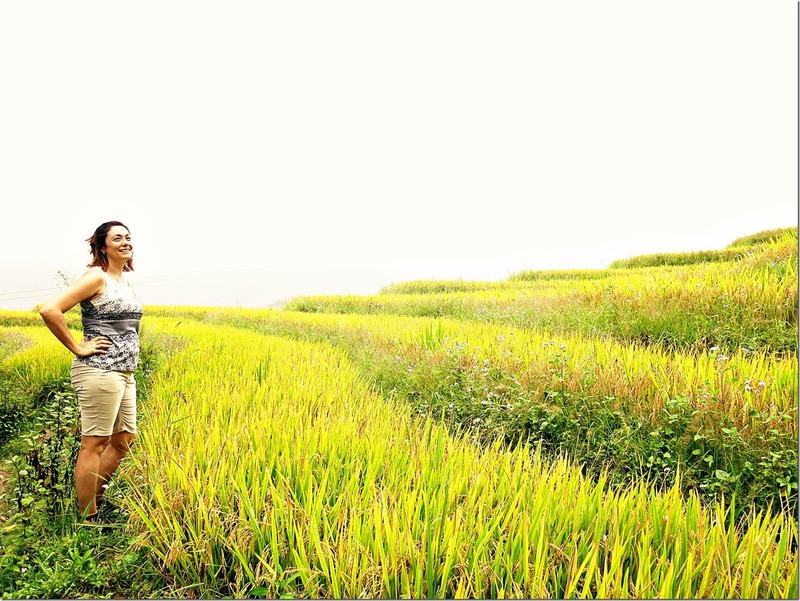 To see the cascading, beautifully golden and light green rice fields, it’s just magical! And makes every step of effort during this expedition of hiking in Sapa worthwhile! It just doesn’t matter if you are looking down or up the valley, the view is just as spectacular. 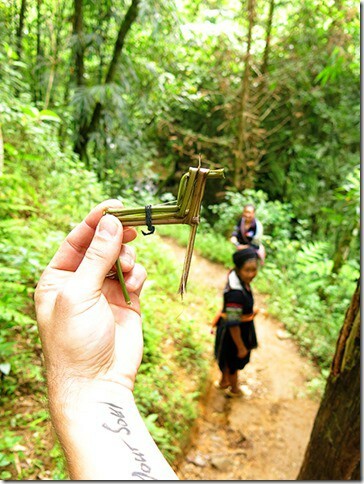 Whilst we enjoyed the time to take in the surroundings, our guides made little gifts for us. Small things to remember them by. It definitely amused me somewhat. I did make some silly videos with my stick horse while we walked, but might have to show you those another time on our YouTube channel. Our 4 hour walk was hot and steamy! Luckily the ladies gave us a large umbrella to use. The sun was really unforgiving in the full blast, so it is definitely something to think of when taking on the walk. Also provided a perfect prop for the photos at various lookouts on the way. And tell you what, those viewpoints are just incredible! We loved stopping to rest at a little shop on the top of the hill. Chilling out, sitting on a rock, eating Ice cream with a truly sensational backdrop, it’s just perfection! There is nothing wrong with taking it easy on your private hike. There is no rush and you have plenty of time to just stare at the view with your mouth open all you like. Well, there is more to see, so maybe not for too long. Hiking down the valley through the Sapa rice fields and down the steep tracks takes you to some pretty cool little local Sapa villages. 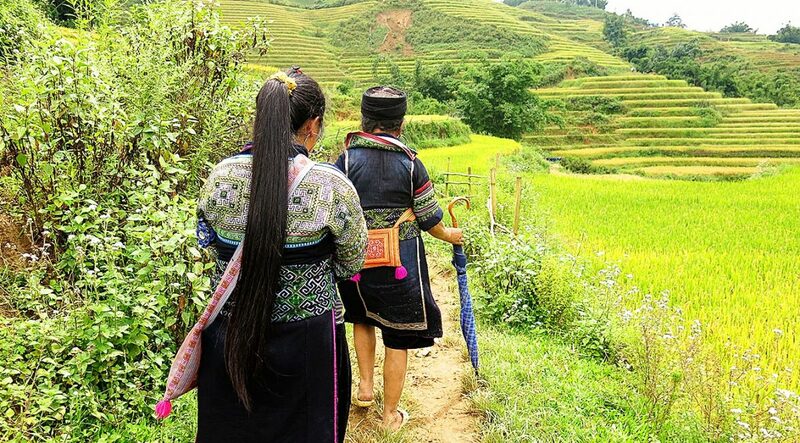 Here you can see how the Sapa Minority groups live, work and play. On our list of villages to see were Cat Cat, Y Linh Ho, Lao Chai and Ta Van. At Lao Chai we were invited to have some tea at Bee’s house. It was a really interesting experience to see up close what her house looks like inside. We were surprised to learn that there were no windows! Yup… In order to keep warmth in in the winter as it gets really cold in Sapa during the winter. However, who needs the window if you only sleep there anyways. Tea was great!! Thanks Bee! 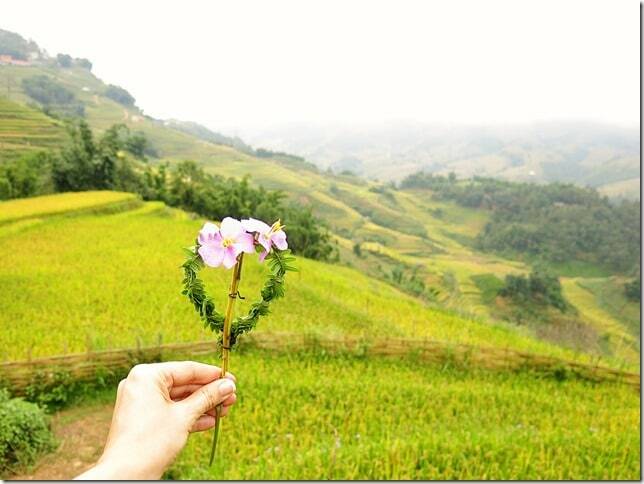 How many times we have seen these photos when researching Sapa Vietnam. There are simply no words to describe some of the scenes at this beautiful place, but I am glad that we had a chance to visit here and really see it up close. 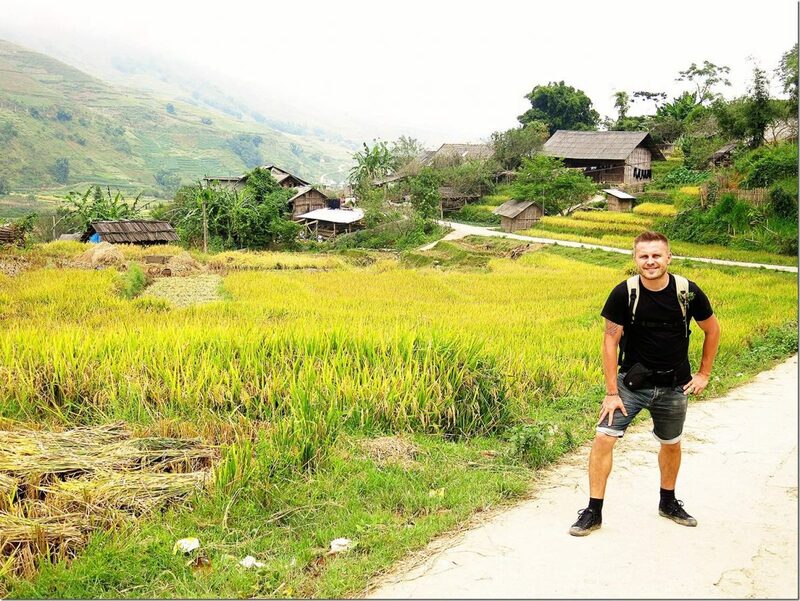 A sapa hike is a perfect way to get up close and personal with all the beauty that this region holds. The life in the villages here is just like life everywhere else. You have to work in order to provide for the family. You grow what you eat and you make what you can from the materials provided by the land. Some plants are used to make clothing and others (like Indigo) to colour them. Some plants are used for medications and others for food. Nothing gets wasted and everything has its purpose here. 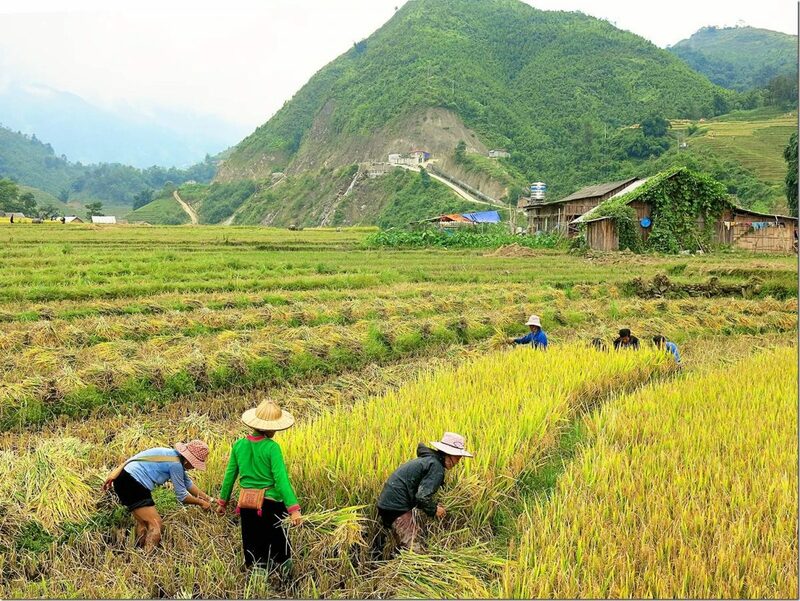 On the rice fields, some locals were beating the plants against rocks and other hard surfaces in order to loosen the seed for later collection. Others were hard at work cutting away at the crops. All day and every day, slowly harvesting the fields, only to prepare for the next season to come again. The circle of life here is the secret to the locals survival. Hard work in the fields doesn’t come without some rewards. 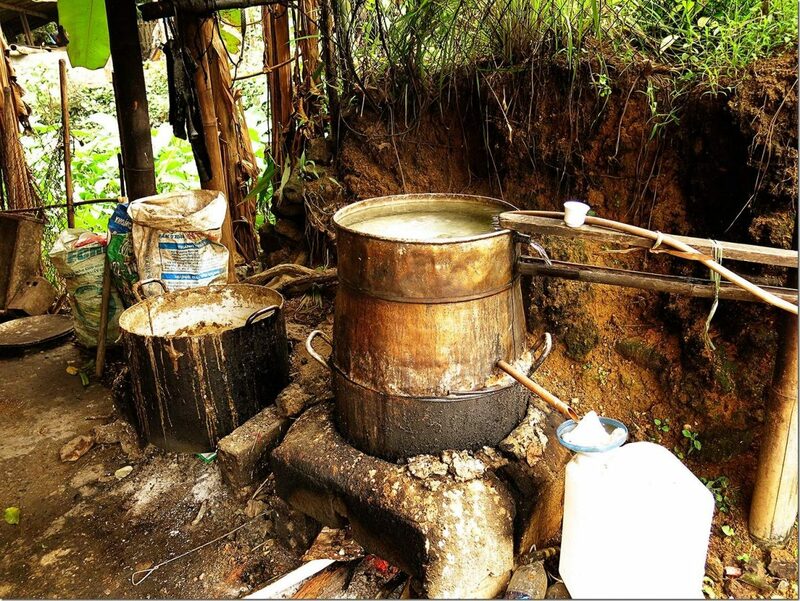 Homemade rice wine is a very popular drink around these parts. As I said, nothing gets wasted here! I did have a taste and got to say it was very strong but very good! 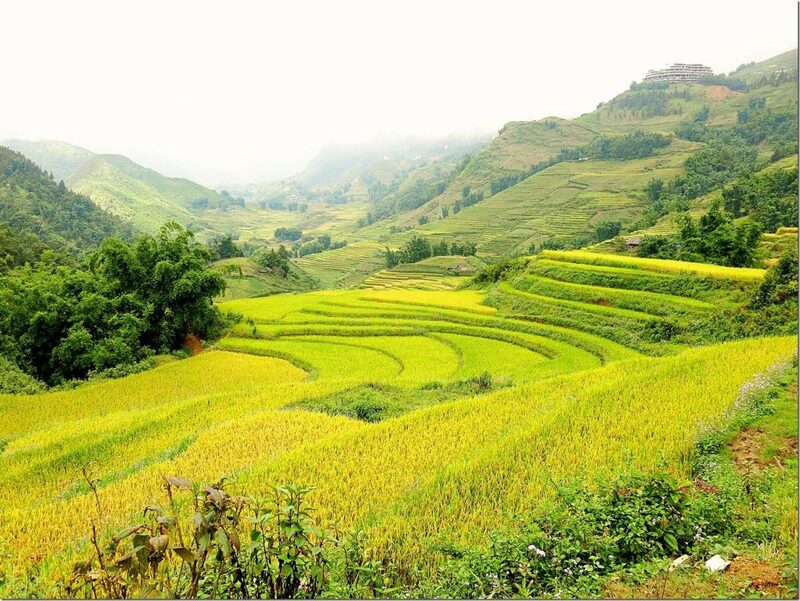 Living in Sapa Vietnam's picturesque surroundings I’m sure is really amazing. Fresh air, fresh food and smiles on the faces from simple pleasures. I do thank the locals for their hospitality and friendly nature. I’m sure that the few dollars you spend here for the handmade goodies go a long way to support their lives, hopes and dreams. Yes, some of the “Buy from me..” may get a little annoying, but one has to remember, we are only visiting here and these guys are just trying to make a living. We stopped for lunch at one of the villages, where we were served with a set menu of simple delights, just enough to fill our stomachs. We did purchase a little bag from Kul, in a way to say thank you for walking with us and for lending us her umbrella. Maybe a little overpriced, but still an awesome souvenir for yourself or someone back home. We had a great time on the hike through Sapa. It was definitely the most awesome walk that we have gone on whilst on our trip to Vietnam. 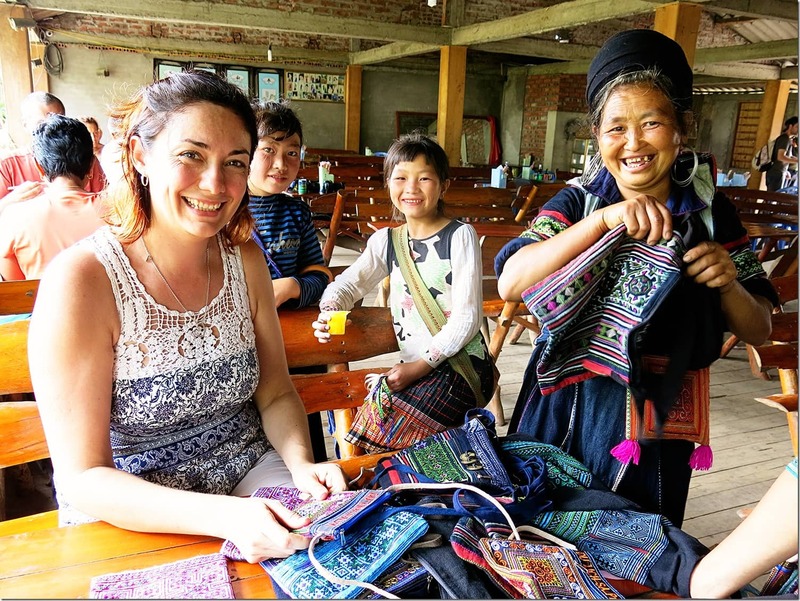 Sapa may be a little out of the way to get to, but it is on our list of best things to do in Vietnam, for sure! 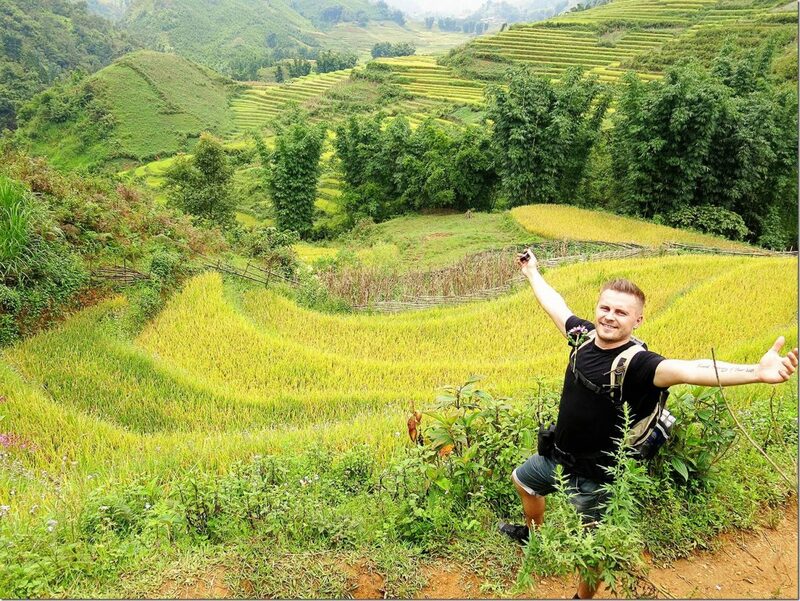 Have you been hiking in Sapa, Vietnam? 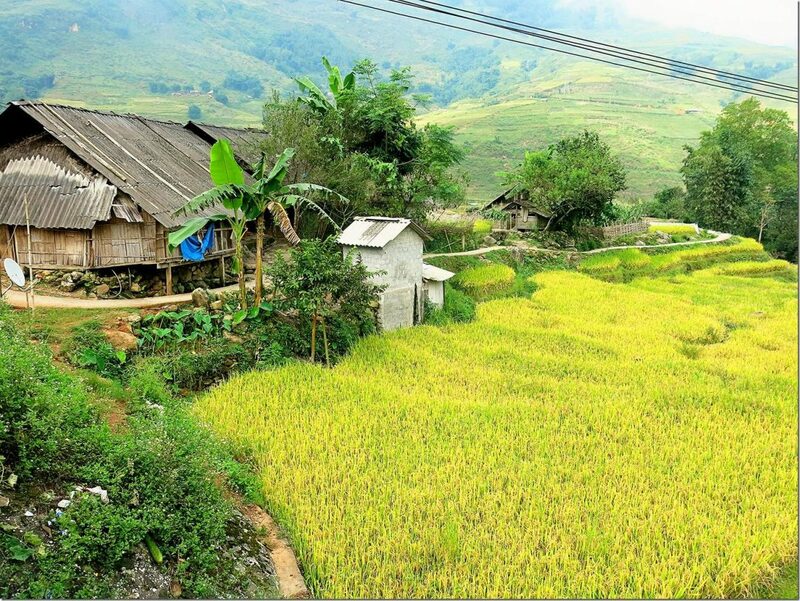 Did you go through the same local Sapa villages? Which photo from our post caught your eye the most? 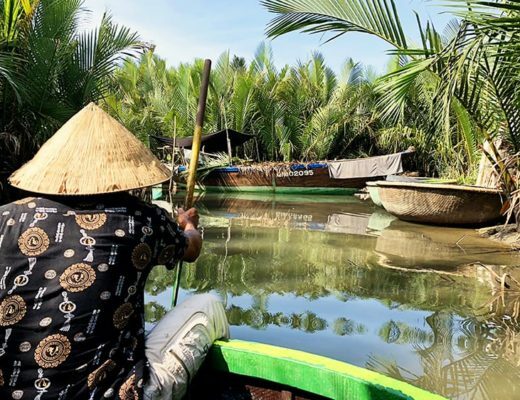 To read more about our Vietnam travels and recommendations click the link here! Prices vary slightly, depending on the hike length and locations visited. Best to book through your hotel. To find our awesome and informative local guide Bee, please visit her Facebook page here. 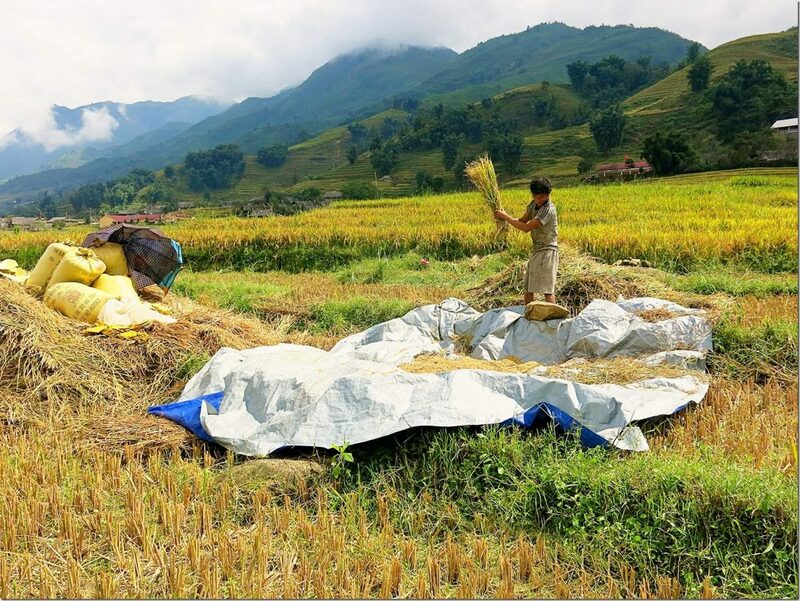 Sapa Discovery Tours offer longer 2 – 3 day trekking in Sapa options, click here to see more. Our recommendations are Sapa Eden Hotel or/and Topas Ecolodge. 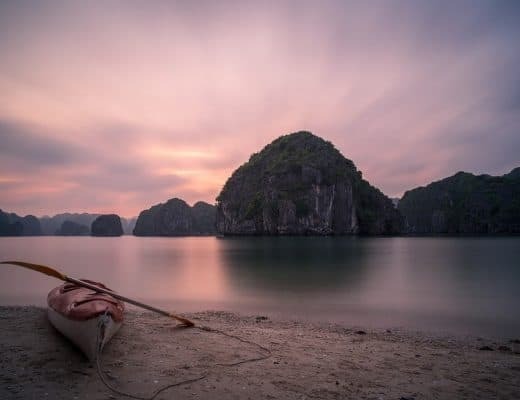 To read more about those two, click the link to our blog Vietnam Accommodation: Recommended places to stay for a Memorable Trip! Use our list of popular Vietnam Accommodation choices (including other Sapa Hotels) to help you plan your trip! * This post may contain affiliate links which won’t change your price but will share some commission. Please see our disclaimer page for more information! Awesome post! 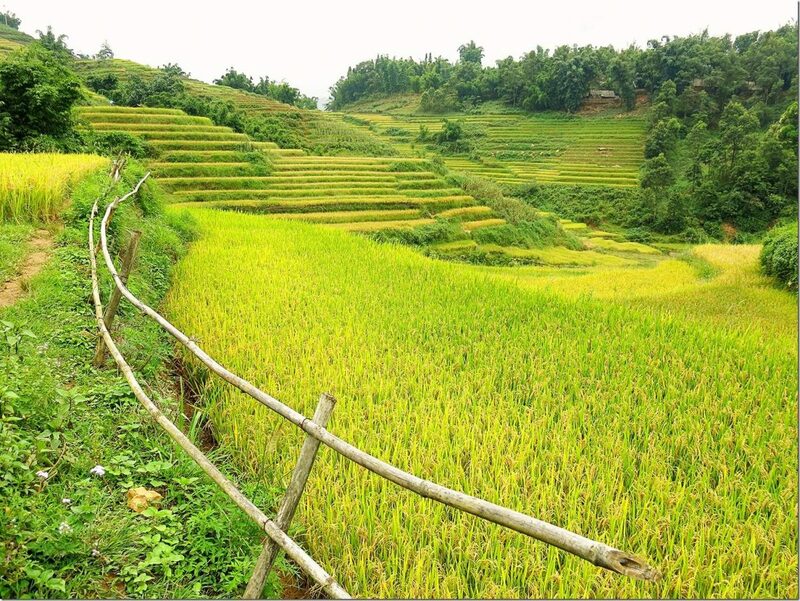 Great photos and advice for the hike through Sapa. What time of year did you go? I’m planning a trip this summer, so I’m wondering how the weather will be. But I live in Florida, so I’m used to the best and humidity. Well, we’ll see! Cheers! ???? Hi, we went in September! It was really hot and humid, but manageable! You have to be careful with the time you travel as you don’t want to head over during the monsoon months. September was great to see the rice paddies too! The last thing you want to do is to travel all the way there just after harvest as the whole area would be brown in mud! Such a beautiful post with amazing pictures. We went 5 years ago on a tour and came back recently and did the hikes by ourselves. Yes, it is easy to do the hike by yourself 🙂 We loved all the information from our guide though, she showed us plants that they use to die their clothes and shared her life stories with us 🙂 We also stopped in at her house as well. We have booked a homestay in late November. Our hike will visit the same places you did. We will be overnighting in Ta van with more walking the next day before returning to Sapa. Can you tell me how far the walk is to Ta Van and how long did it take you? I’m worrying i may not be fit enough (55yo). Thanks. Hi, that is a TOUGH question! 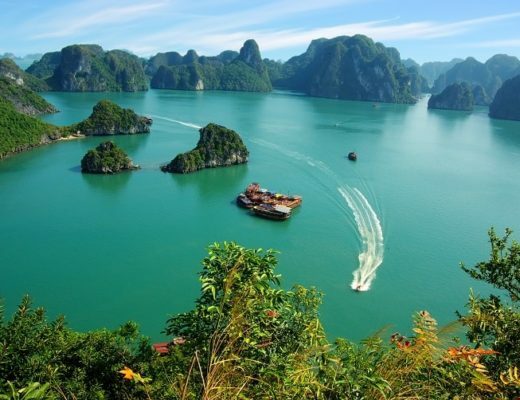 I think I prefer Halong Bay over Sa Pa, so I would spend more time there. I recommend you catch the overnight train to Sa Pa though so that you actually have a full day to to the Sa Pa Hike. Have a fun trip Linda!! Great Post! 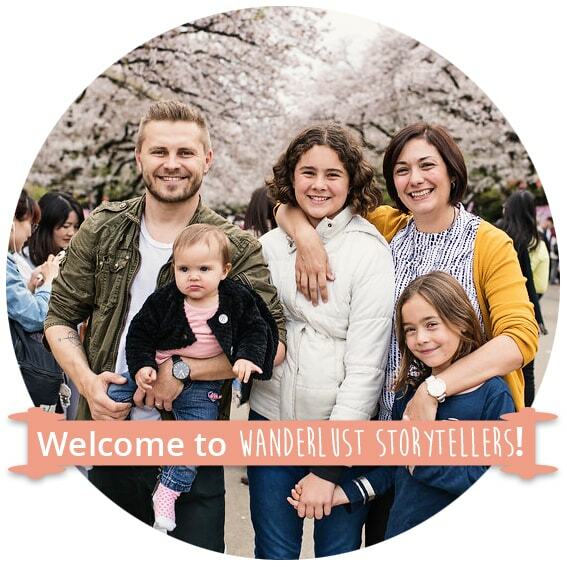 Loving your blog! I noticed you didn’t seem to have the kids with you. We are travelling to Vietnam soon with three kids teens down to a 7 year old. Was the hike too tough for a 7 year old do you think? Hi Kylie, yeah it was a lovely kid-free trip 🙂 If your 7 year old is used to hiking it might be okay? My main concern would be if it has been raining the path gets REALLY slippery. We had a private guide so we could stop and rest as often as we wanted and we grabbed a transfer back to Sapa town which helped a lot too! Hi, this sounds great. Could you please tell me how I go about securing Bee as a private guide. Sapa now is touristic and there are a lot of construction but it is still a must to visit when you have a chance or time. Being a local i really like it and if i visit Sapa now i will choose a good homestay. A hotel in Sapa can be fine but choose the hotel a bit far from the center ( near the Western streets) becuase there are so many construction there now. Thanks for the update! Shame that things change so quickly due to tourists. A homestay is always great as you support the locals that way, but if you want a bit more luxury then you will have to grab a hotel. Hello there! Your description is just spectacular, thank you! 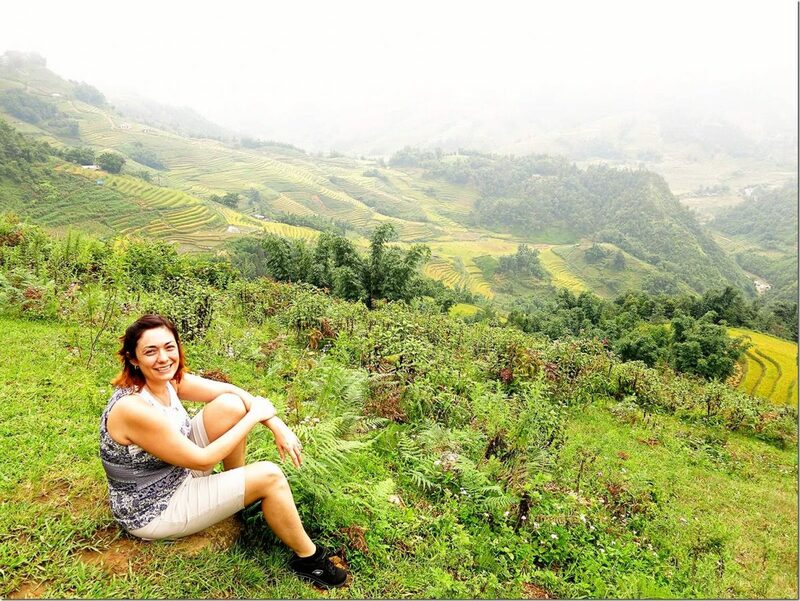 My husband and I are planning to visit Vietnam next February, do you know if that is a good time to go to Sapa or is it too close after the harvest? Hi Fabiola, we went in September – I haven’t been in February, but from I can see it will be pretty cold and pretty muddy/brown so not sure it will be worth the effort to get there. Might be better though to ask on a forum somewhere such as TripAdvisor to just double confirm. Hi, just wondering how much did you pay for your tour with Bee? Hi Jasmine, I really can’t remember sorry – can’t find it recorded anywhere. We also did the tour a few years ago and I’m sure the prices would have increased since then too. Best would be to send her a message on Facebook directly and ask. Sorry I’m not more helpful.